I served as the Content Coordinator, then Managing Editor for Open Source Fashion (currently operating as Open Source Business), a business development firm with a focus in the fashion industry and related technologies. The firm helped companies strategize, communicate and grow by offering an integrated and well-connected approach to cultivating opportunities. In these roles, I edited contributions to the blog from industry experts and contributed my own takes. 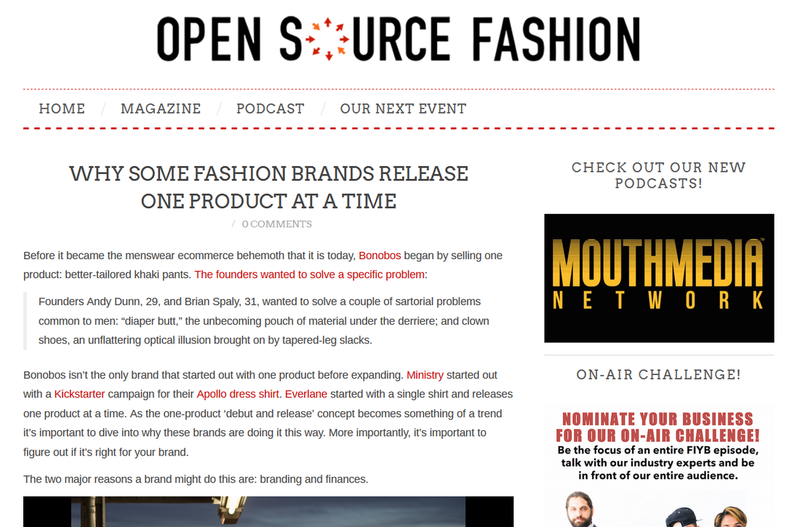 My writing for OSF also has been featured at AlleyWatch, which covers NYC startup and entrepreneurial news. ​All of my writing for the site can be found here.